Twitter is being linked to TV on a regular basis; so in an attempt to strengthen that link further, Twitter has acquired London based TV firm SecondSync and Parisian firm Mesagraph. Both these companies provide analytics regarding how people engage with television programs to broadcasters and advertisers, and will now be working with Twitter from their London office. This acquisition will help build Twitter’s dominance over the “second screen”; further engaging the TV viewers who use their social media channels while watching their favourite programs. Dominoes – The pizza company announced the world’s first edible box as a new “snacking” innovation, playing on the fact that their fans favourite part of the pizza was the crust. Google Maps – This fantastic idea from Google meant that all their maps turned into a Pokemon Challenge, with various Pokemon characters scattered across the map. The whole thing was turned into an actual game where users had to try and catch them all. Tesco – One for the UK, supermarket giant Tesco introduced their new tablet called the Cudl. It was based on an actual product of theirs called the Hudl but allowed couples to tether their tablets together so they could both use one while cuddling. Marc by Marc Jacobs is giving wannabe models around the world the chance to be the next face of their brand with a new social media campaign called #CastMeMarc on Twitter and Instagram. The competition allows applicants to pitch themselves as the face of Marc by Marc Jacobs by sending in a selfie with the hashtag #CastMeMarc for their chance to win. Marc Jacobs has been in the news more than once for his unique social campaigns and recently opened a tweet shop where fans could only pay for goods using social media. 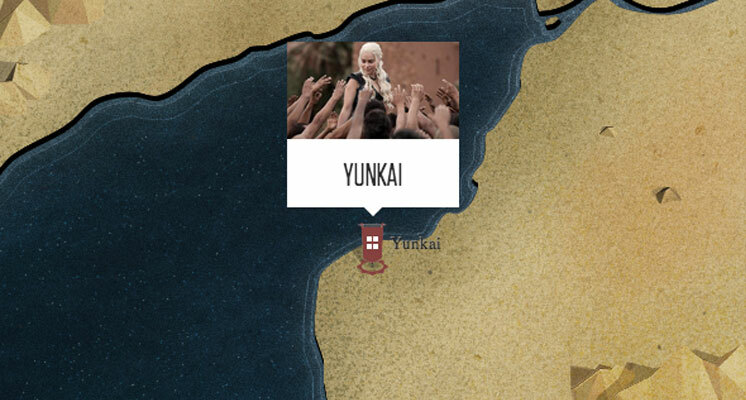 With the premiere of season 4 taking place tomorrow, HBO have launched an interactive guide for the program to clear up any confusion about the characters, the various locations such as Westeros, their homes and much more. Using the guide you can explore different areas on a map, find out more about characters and look through all the different episodes to find out a range of different facts about everything and anything. This fantastic guide contains a whole host of exclusive content including videos, pictures and interviews, which have being shared across all the social platforms. It’s fair to say that Internet users around the world are just a bit excited to have Game of Thrones back on their screens.